Since 2004, M&M Refrigeration has been the US leader in the reintroduction of carbon dioxide (CO2) as a viable refrigerant. 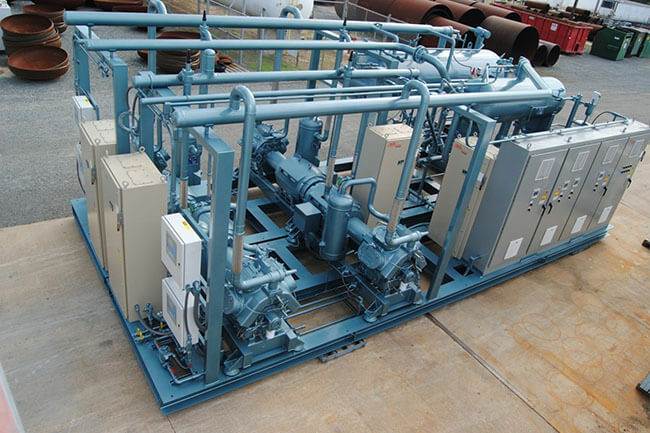 We have designed, manufactured and installed more CO2 Cascade Refrigeration Systems than all of our competitors combined. These systems range in capacity between 25 and 1500 tons for various applications such as process plate freezers, spiral freezers, refrigerated warehouses and blast freezers operating at temperatures from -60°F (-51.1°C) to +20°F (-6.67°C). 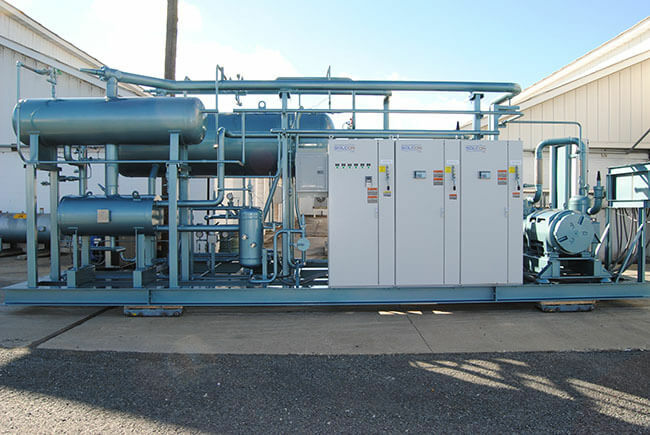 CO2 Cascade Refrigeration Systems are proven to have lower installed first costs and the operating costs are lower than an equivalent two-stage ammonia refrigeration system, especially at lower temperatures. Another benefit: a typical M&M CO2 Cascade Refrigeration System will have a total ammonia charge that is far less than 10,000 lbs—resulting in dramatically reduced regulatory requirements. 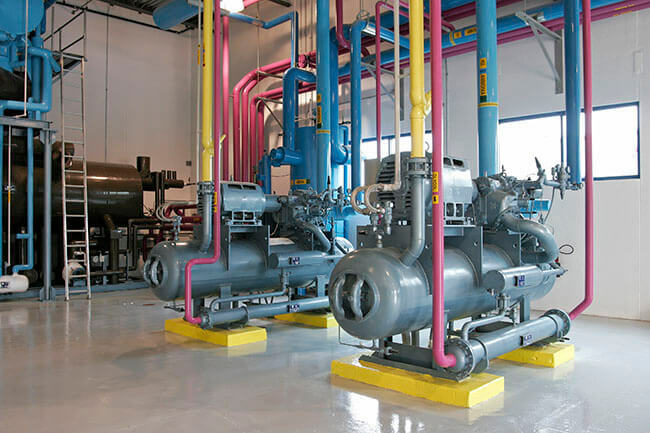 It’s common to have little-to-no premium charge when purchasing an M&M CO2 Cascade Refrigeration System versus purchasing a standard NH3 Refrigeration System. 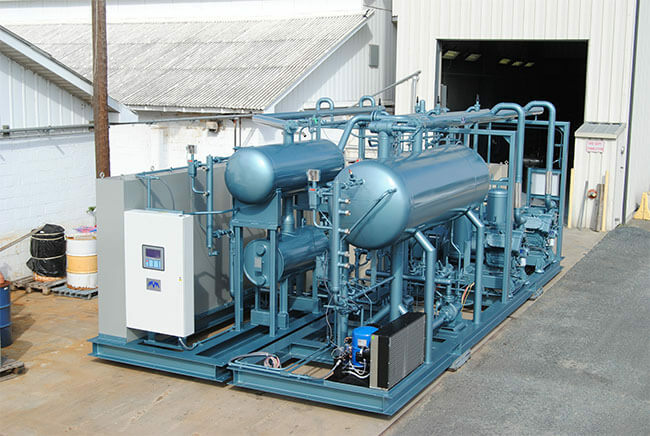 The concept for M&M’s CO2 Cascade Refrigeration System is based on a cascade system that combines the advantages of CO2 on the low-temperature side with ammonia on the high-temperature side. Ammonia is limited to the engine room—only CO2 is present in working, processing and storage areas. A CO2 Cascade Refrigeration System operating in a typical cold storage building when compared with a typical two-stage ammonia refrigeration system uses significantly less power and is therefore significantly more efficient. 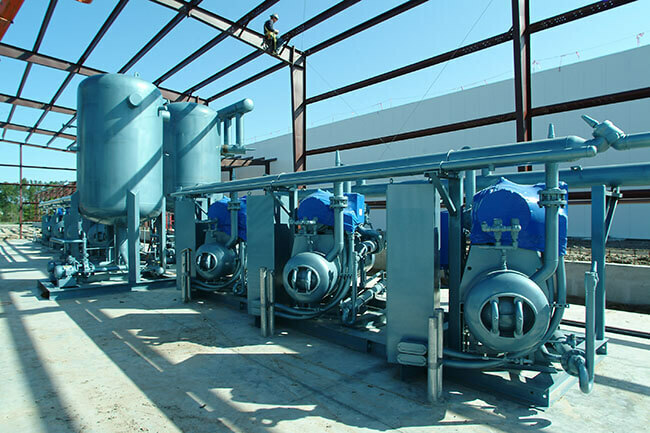 The CO2 Cascade System provides cooling and freezing storage at temperatures between -10°F and +35°F and blast freezing at -45°F to -48°F air temperatures.